In 1820, a young woman embarks on a journey for a better life in America. She brings with her a three year old son, and plans to live with relatives she has never met in Philadelphia. Her loving husband remains in Ireland, taking in boarders and working the farm to save money for his departure. Along the way, Jane realizes she is pregnant, then soon is told she is expected to pay rent, and work in a factory. Her new boss begins to sexually assault her, convincing her that a pregnant Irish woman would never find work. She turns to her priest with no results. She is trapped! The story itself is very good. I don't find many stories that I am willing to listen to knowing that there is a series. I am glad this was one that was enjoyable. There were times I thought the narrator was reading a storybook to an elementary classroom; especially in the beginning. Other times, the story itself seemed a bit elementary. In spite of that, I finished the story in 2 days, so it was pretty good. I plan to listen to the rest of the series. I received the audio book free for an honest review. The book starts with a horrid trip across the ocean with many other people looking for a better life in America. The same sort of thing still happens when people are stuffed into trucks after they pay outrageous fees to be brought into the US from Mexico. A wife arrives in Philadelphia with her toddler, leaving her husband to raise money for his trip later. She is expected to live with cousins that she has never met, work in a factory even though she has never worked a day in her life. She struggles with living in a strange culture and dealing with a cruel, abusive boss, and losing a pregnancy without the support of her husband. The character development is through; I felt I was able to know each person and how they were supportive in the story. This would be a good book to listen to while on a long weekend getaway. I expected the typical historical fiction with romance and drama, but nothing like what I heard. The twists kept coming, and the narration kept me interested until the very end. There are some violent scenes, so if you are of faint of heart, this is not the book for you. However, even the violent scenes were performed impeccably. The story takes place in 1820 when a young woman takes her son traveling to America. The conditions she faces at work, with family and in society are real and believable. The twists and turns this roller coaster takes you on is a wild ride. I love this novel. I highly recommend it to anyone who loves seeing the world and our history how it truly is/was and not as the Hollywood version we pretend it is/was. 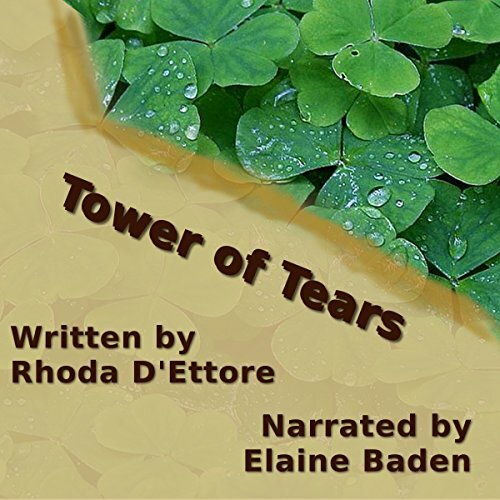 Tower of Tears takes you on an emotional roller coaster as it explores the lives of an Irish family who has migrated to America. The novel focuses mainly on Jane, a timid, wonderful, loving woman who travels to America with her young son at the behest of her husband and to fulfill her mother’s final wish that she go to America to find a better life. Jane’s husband and brother follow nearly two years later, but unfortunately, by then, life in the new world and life without his wife have irrevocably changed the once happy couple. This the story holds nothing back. Ms D’Ettore explores the racial and religious prejudices of the 1800s, prejudices that are still prominent today. It also explores gender roles and doesn’t hold back when it comes to the realities of the suffering many women endured in a time when they were seen as mere property and little more. This novel is raw and real. You will laugh, you will cringe in horror, and you will cry, but you will also grow to love this family and their undying devotion to each other. I can’t wait to read more of Ms D’Ettore’s work and the next books in this series.